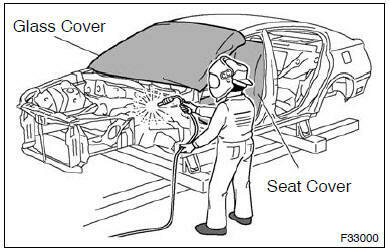 (1) when welding, cover glass, seats, carpets, etc. With heat resistant fireploof covers to protect them. 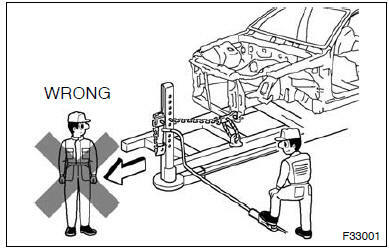 (1) never stand in the path of the chain when using a puller on the body or frame, and be sure to attach a safety cable. 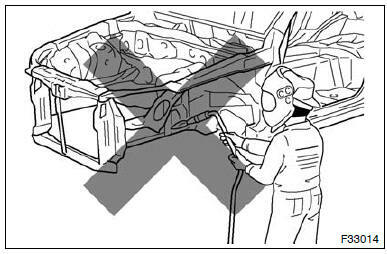 (2) If it is necessary to use a frame in the area of the fuel tank, first remove the tank and plug the fuel line. 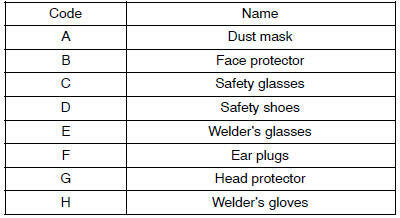 (1) in addition to the usual mechanic’s wear, cap and safety shoes, the appropriate gloves, head protector, welder’s glasses, ear plugs, face protector, dust mask, etc. Should be worn as the situation demands. 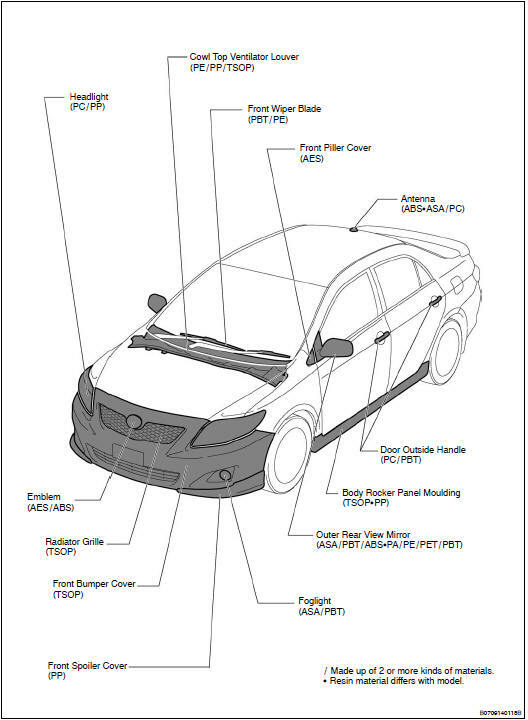 (1) rustproof high strength steel sheets are used for the body frame. Therefore, if these parts are heat repaired using an acetylene torch or equivalent, the crystalline structure changes, causing the strength of the steel sheets to decrease. 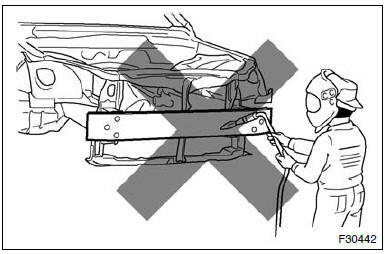 Also, the zinc corting which is used to protect the body from rust will be damaged. This causes the surface of the steel sheets to become oxidized, which reduces their ability to resist rust. : replace frame parts that have kinks. Hint: what is kink? A deformatision bon a steel sheet that cannot be returned to its original shape by pulling or hammering due to the deformation angle being sharp. (1) the impact beam is desined so that it performs at 100% in its original shape. 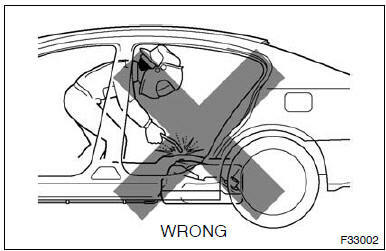 However, if the impact beam is repaired, its performance may not be the same as before the accident. 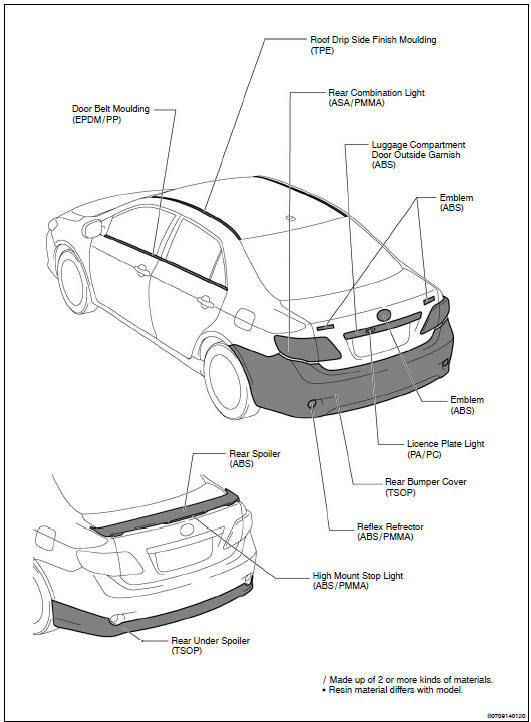 (1) the bumper reinforcement is designed so that it parforms at 100% in uts original shape. : if the paint film is damaged, make sure to refinish the paint. 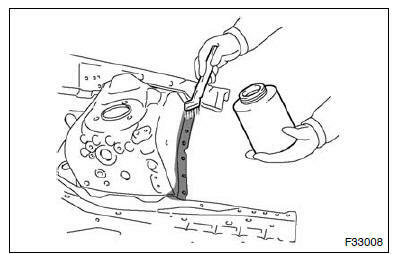 (1) apply welding primer to the contact surfaces of the welding areas to protect them from rust. 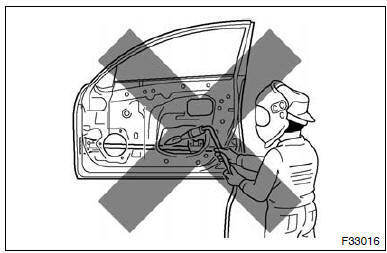 : do not apply welding primer outside of the contact surfaces. Spot weld: 1.3 X no. Of manufacturer’s spots plug weld: more than no. 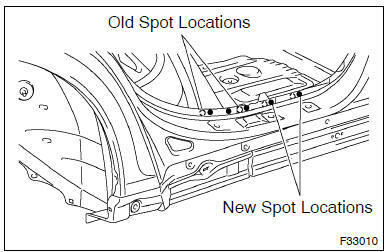 Of manufacturer’s plugs (2) spot weld locations avoid welding over previously welded areas. (1) when repairing, some parts may be deformed by the heat. 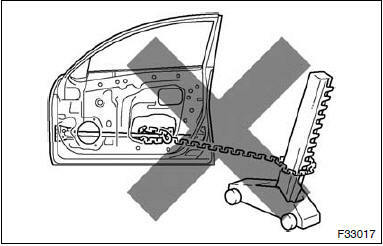 Therefore, confirm the properties of the platic parts, and remove parts beforehand as necessary. 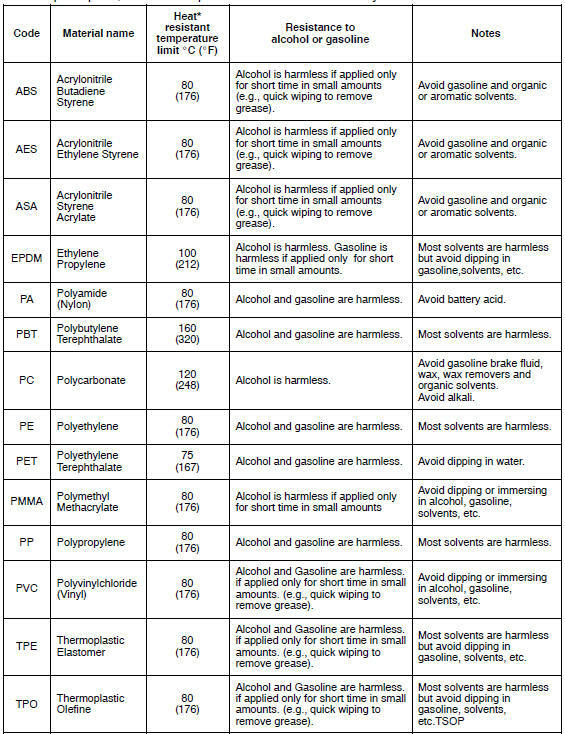 * Temperatures higher than those listed here may result in material deformation during repair.